Rocking chairs are an absolute necessity in the nursery, well at least for those of us who are forced to endure long restless nights and midnight feeds. If you are planning a nursery for your little one and looking for the perfect rocking chair, with comfort and style being a must, then Bambizi is the place to go. Bambizi is the works of an interior designer who discovered her love for nursery furniture when she was pregnant with her daughter. During her daughter’s first year she managed to design a range of stunning cots, dressers and more. From this, the very stylish Bambizi was born. You are sure to spend countless hours rocking away sleepless nights when there’s a new baby in the house, so of course comfort is a must. With that in mind Bambizi’s range of rocking chairs have been made with soft, durable upholstery for exceptional comfort. Designed with smooth glider systems and a handmade rocking base, their rockers can help make the long nights more bearable. Bambizi take safety seriously and go above and beyond to meet the British Standards. The furniture is designed to be passed down from generation to generation. Not that the style, comfort and quality isn’t enough of a reason to want of these gorgeous rockers, you also have with the option to personalise your purchased piece. The Morpheus Nursery Rocking Chair is beautifully designed with its straight back, support pillow and ergonomic arm height for feeding your baby. Unlike your typical nursery chairs, this rockers days aren’t numbered. 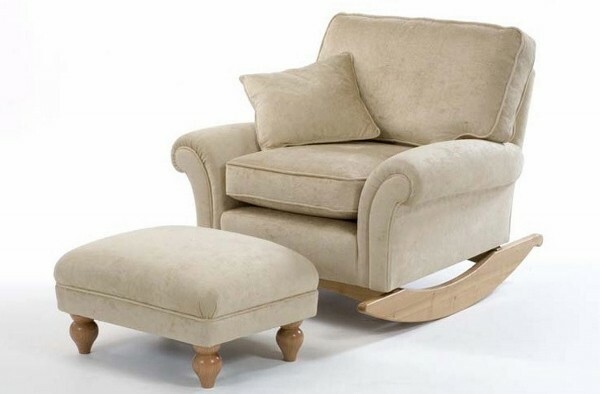 Once your child grows, the rocking base can be replaced with four turned Bambizi bun feet (available separately) to become a lovely chair that is perfect for any room. 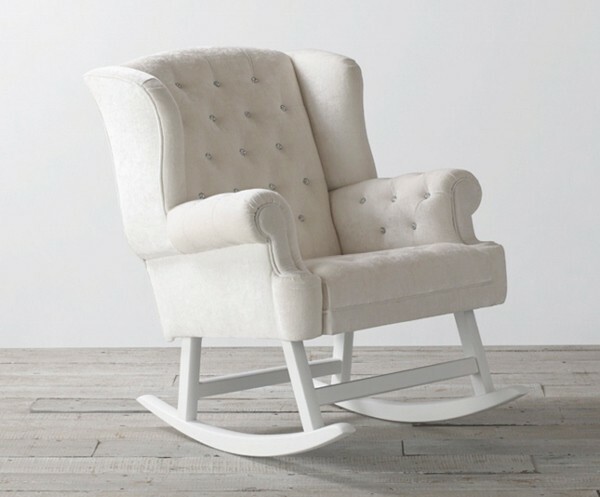 The Opulence Rocking Chair will have heads turning as they walk into your little babe’s nursery. This classically beautiful chair offers a soothing place for you and your baby, with its cushioned seat, sparkling Swarovski crystal buttons and calming rocking motion. You can find the perfect place to feed, read, rock and cuddle your child online at Bambizi, prices start at £2,500. Contact them direct to enquire about shipping to Australia.